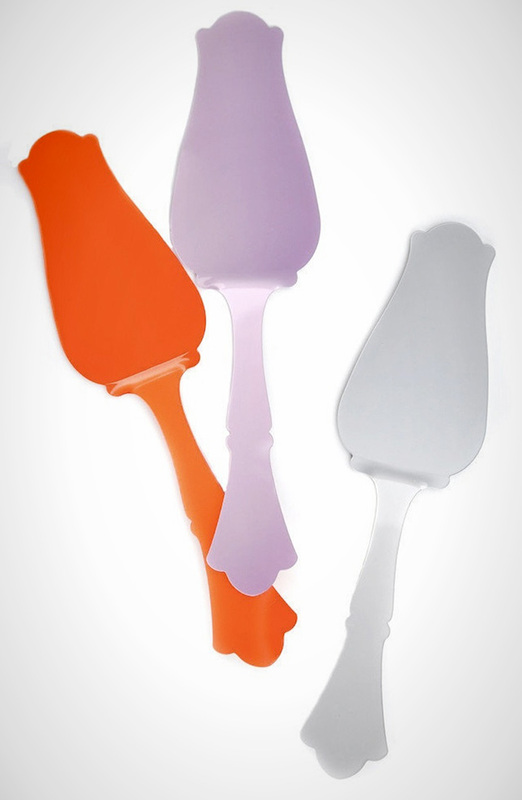 For the avid (or amateur) home cook, these are the gifts that keep on giving. 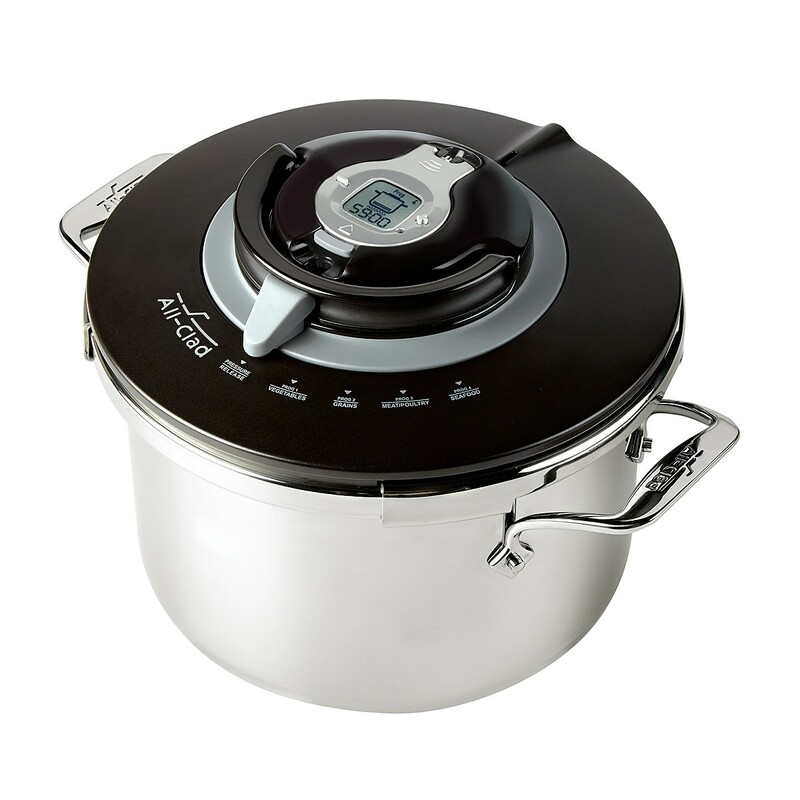 The PC8-Precision Stovetop Pressure Cooker by All-Clad has four programmable settings (including ones for grains and seafood), a pot for searing, and a smart timer on the interlocking lid — all of which help put dinner on the table posthaste. Under pressure? This cooks a four-pound chicken in less than 25 minutes. 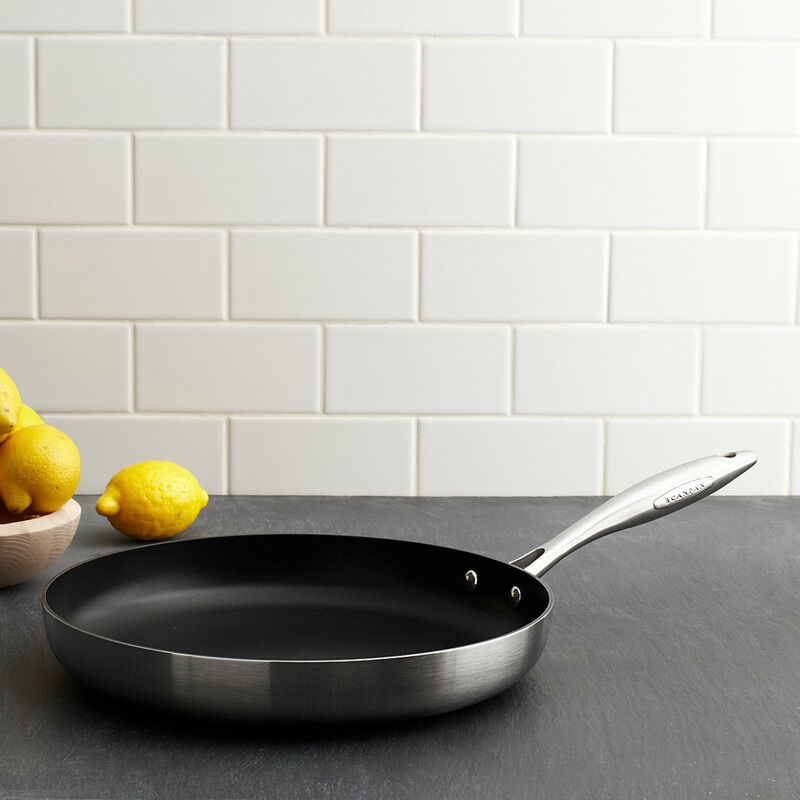 Fry Pans by Scanpan are broiler-proof up to 500°F, coming in classic 8′′ and 101⁄4′′. 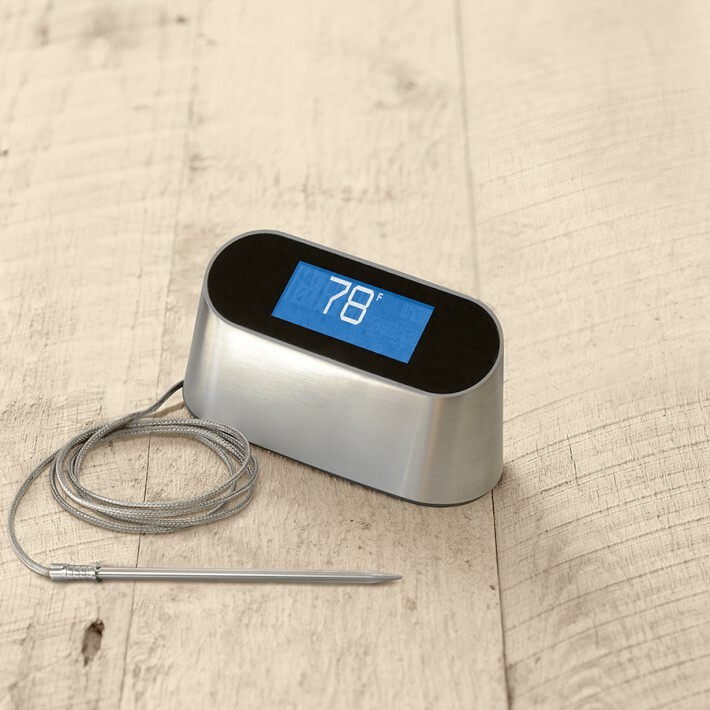 There’s an app for monitoring your meal from anywhere, thanks to the Wi-Fi Smart Thermometer. 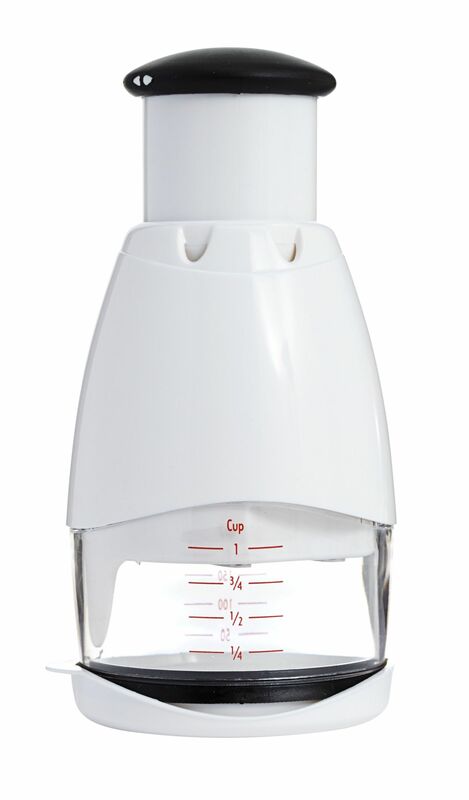 The Chopper ins’t just easy to use — it also makes for an easy cleanup once you’re done cutting up those nuts and veggies. 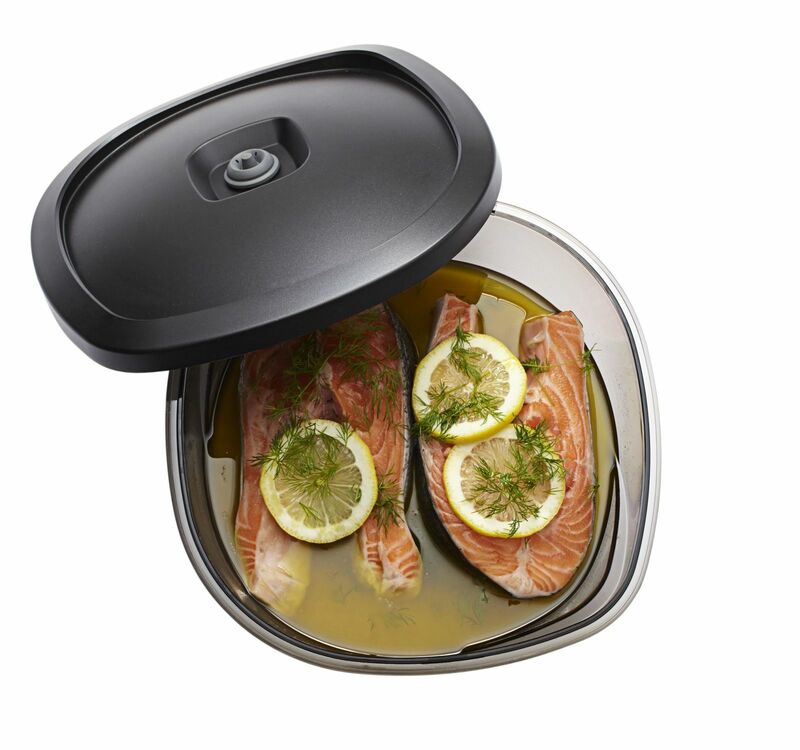 No need to fuss with a long marinade when Vacu Vin’s Instant Marinator’s vacuum pump gives the same effect in minutes. 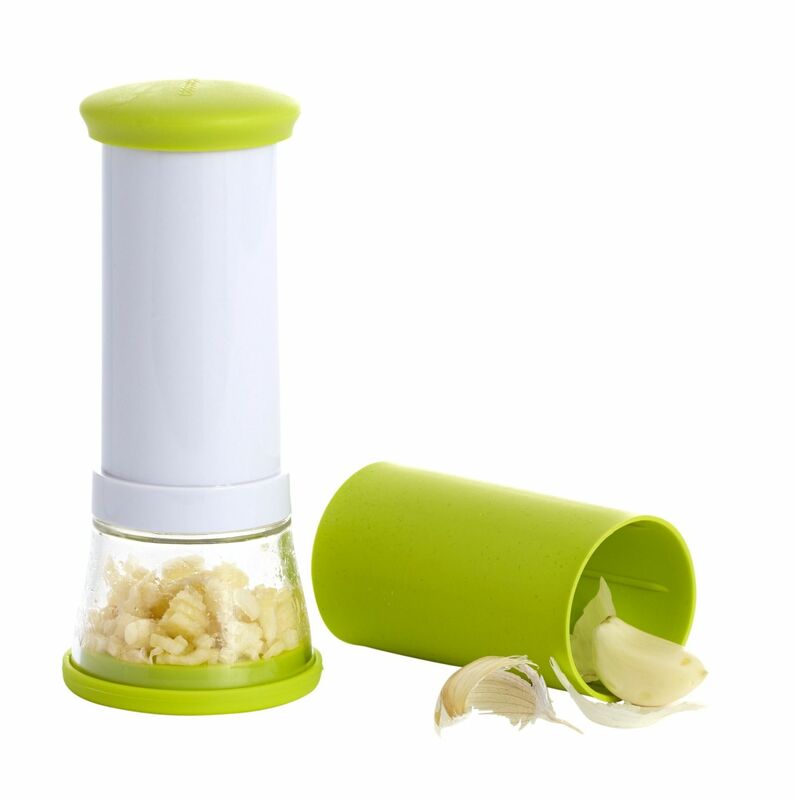 The Garlic Prep ‘n Store will definitely help prepare your favorite chef for any dish that requires garlic. 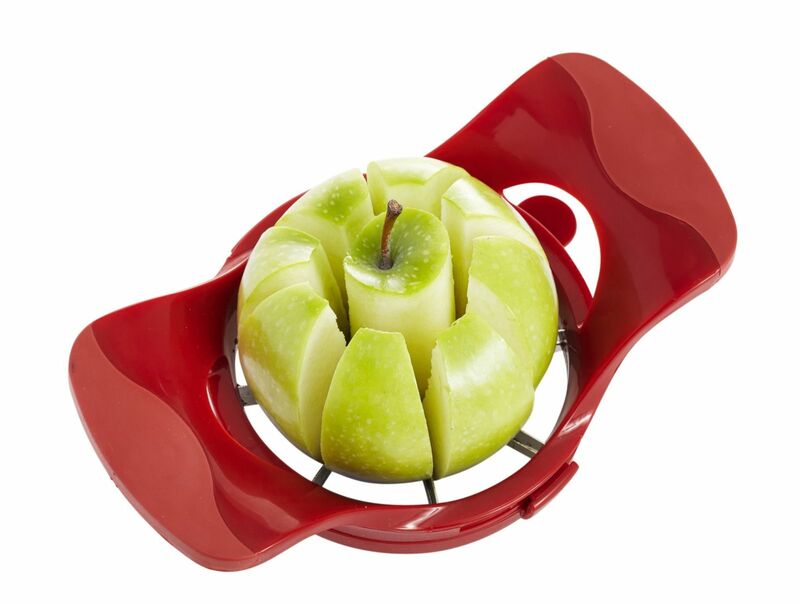 Amco’s Adjustable Dial-a-Slice Apple Slicer can slice an apple in two different widths, depending on the chef’s preference. 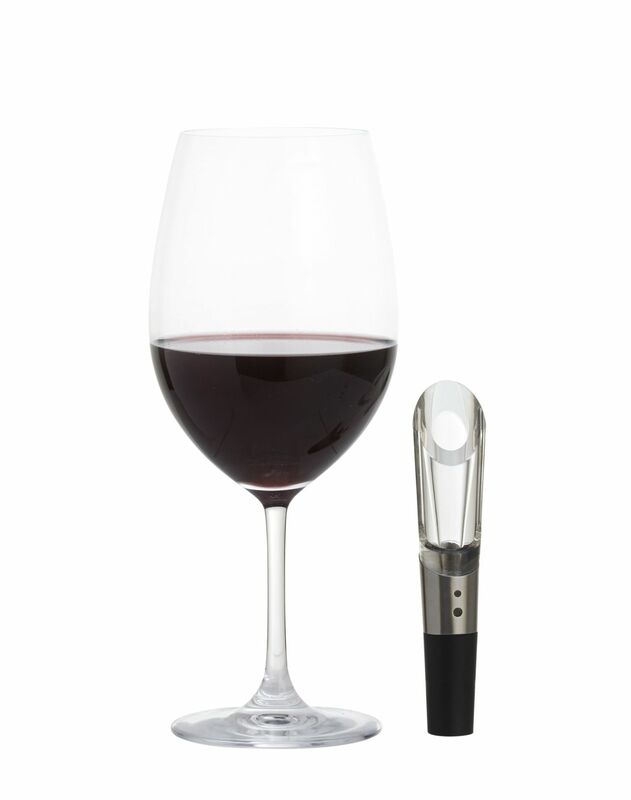 The Super Aerator by Rabbit ensures a glass of wine is perfectly aerated upon sipping (for the optimal wine drinking experience, of course). 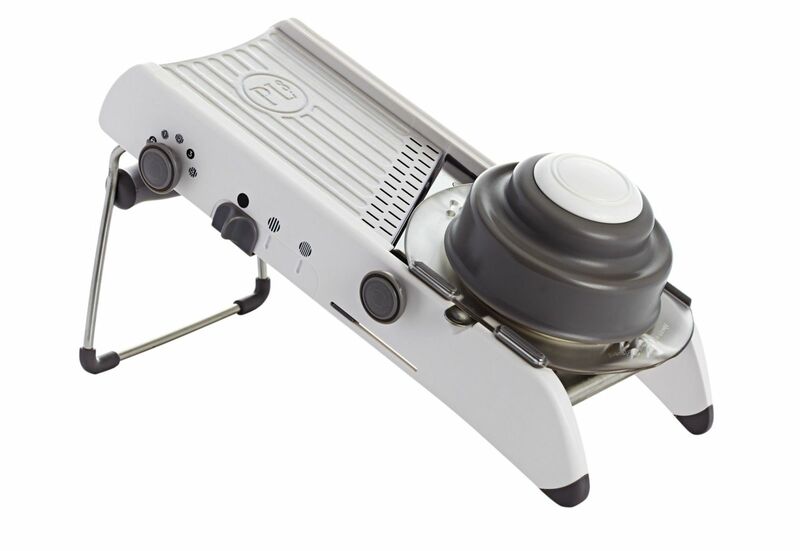 Integrated blades mean no loose parts to handle in this PL8 Professional Mandoline by Progressive International. 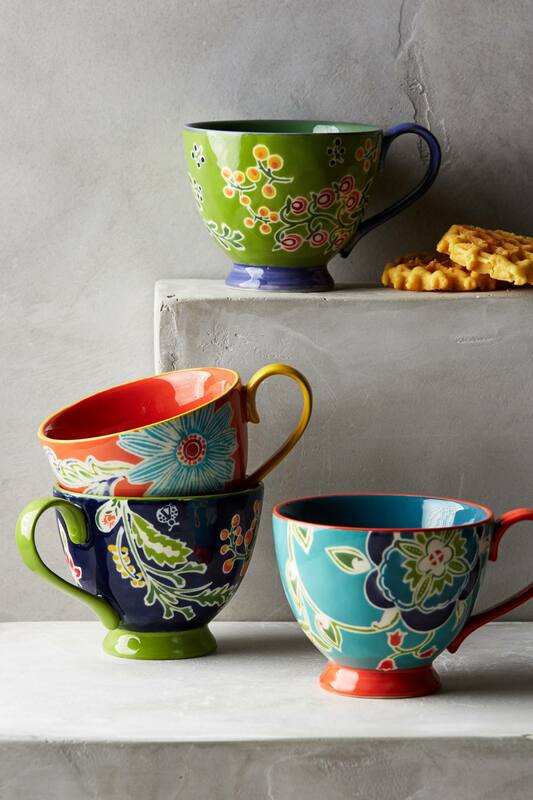 Yes, it is possible to enjoy a morning cup of coffee even more — with a mug this cheery and bright, of course. 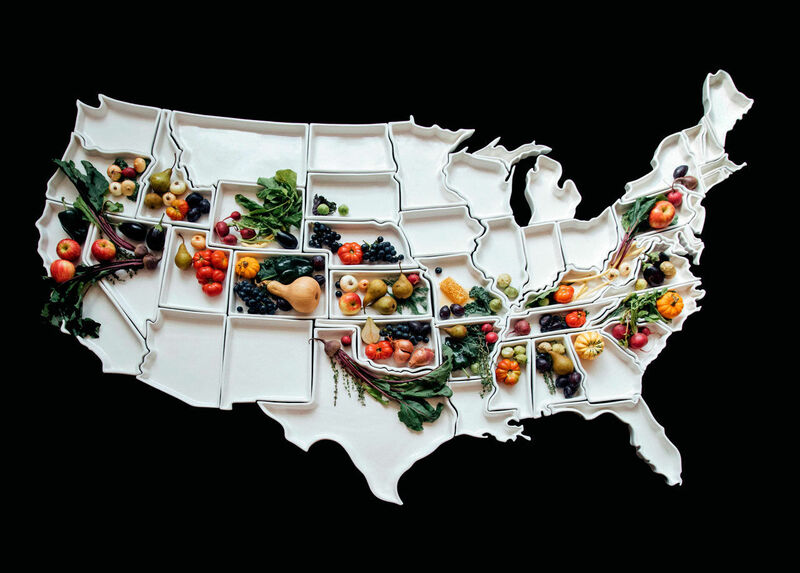 Show off your home state pride with a fun-shaped porcelain plate. You can outfit your table with a lot of Californias or invest in the entire country. When assembled, it spreads out to 7 x 4 feet. 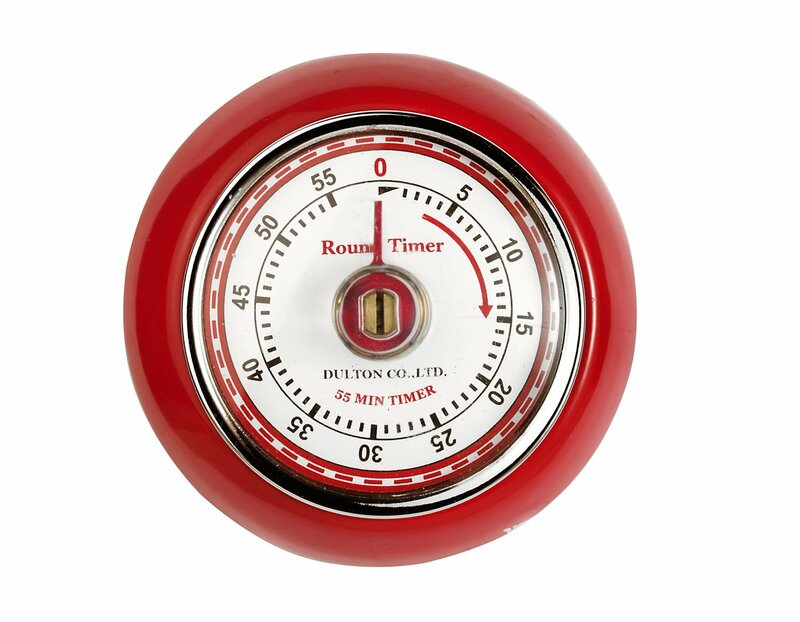 Most ovens come with a kitchen timer, but this one will defintely make your mom smile. 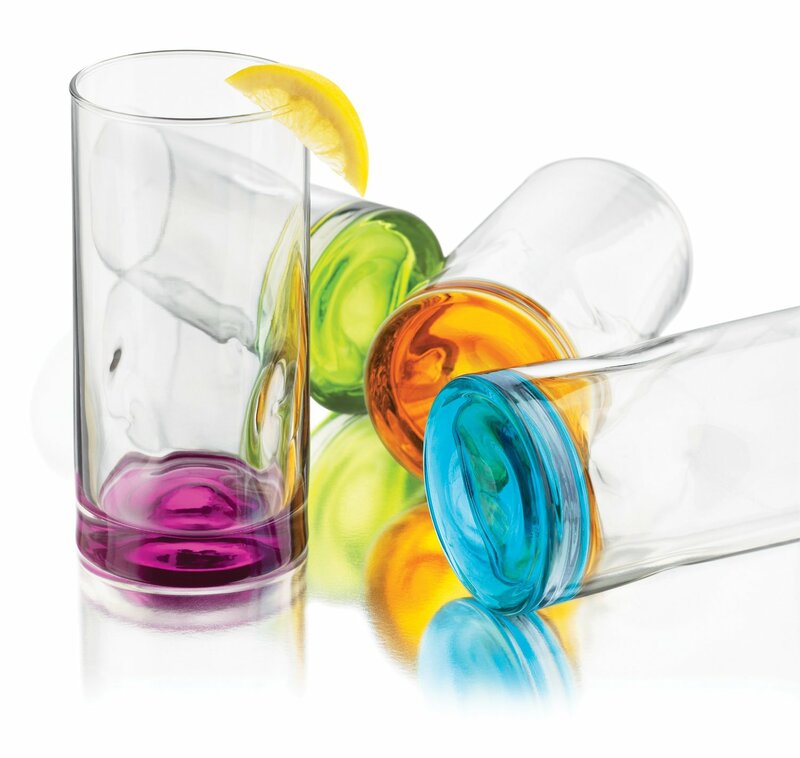 Subtle pops of color appear on the very bottom of these old fashioned glasses. 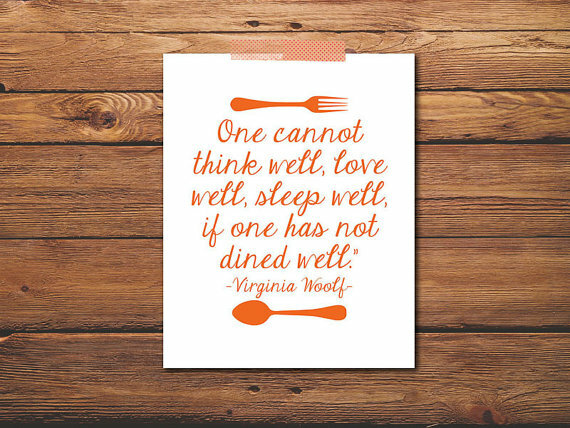 Just in case your loved one forgot the importance of a good meal, this lovely print is ready to remind them. 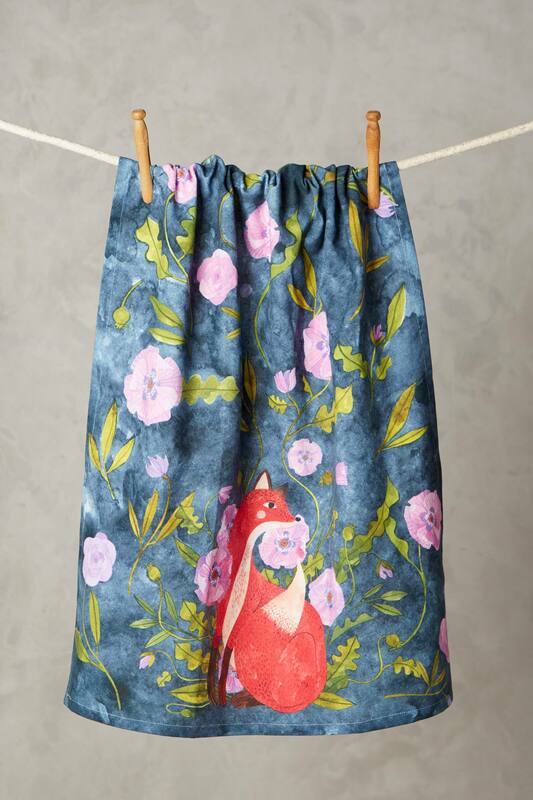 Machine washable, this is tea towel looks more like a piece of décor instead of a cleaning tool. 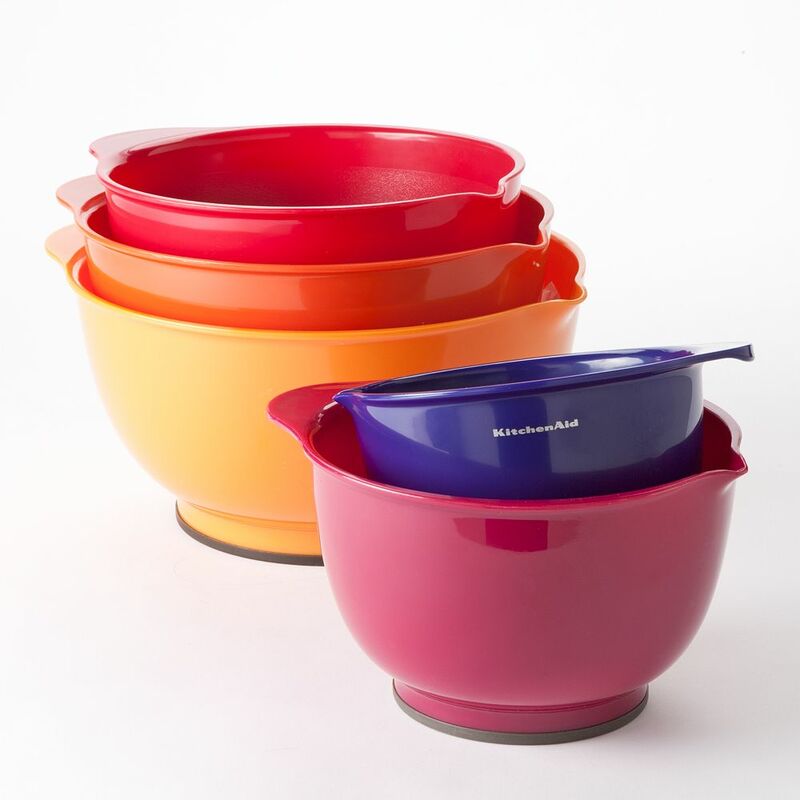 Made complete with integrated pour spouts, this KitchenAid mixing bowl set will brighten any kitchen. 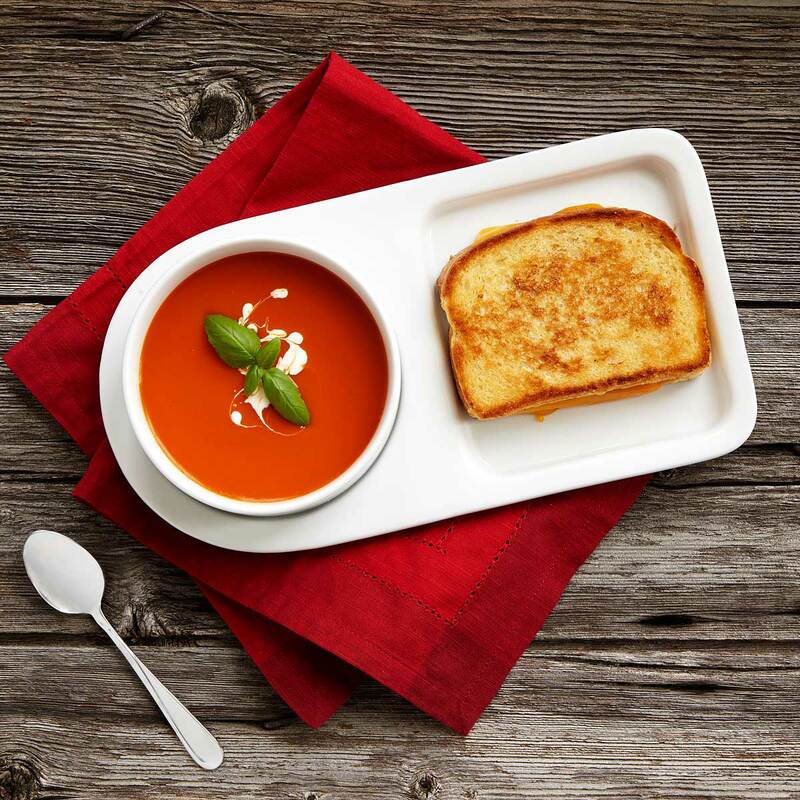 For those who enjoy a cozy afternoon lunch from the comfort of their bed (or couch), this tray will surely come in handy. 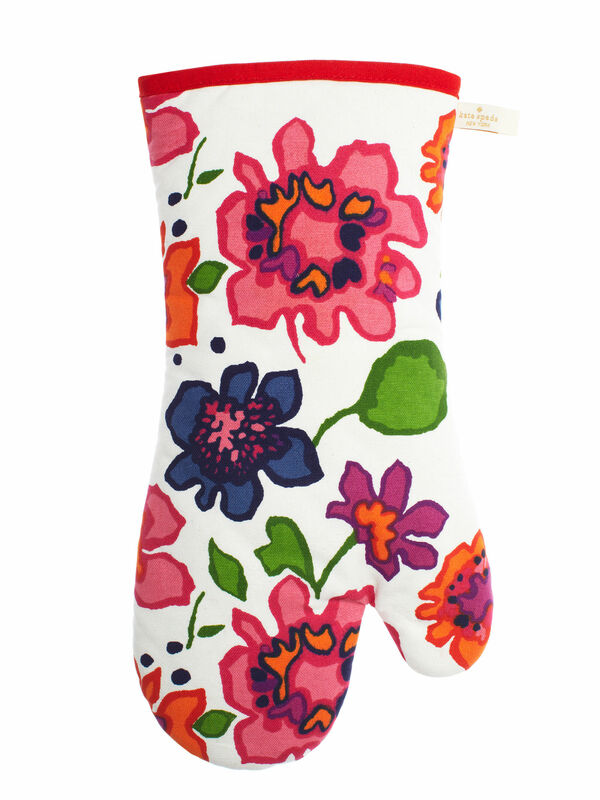 It’s important to remember an oven mitt, and equally important that said oven mitt is as stylish as the person using it. This sophisticated server comes in a selection of vibrant hues. 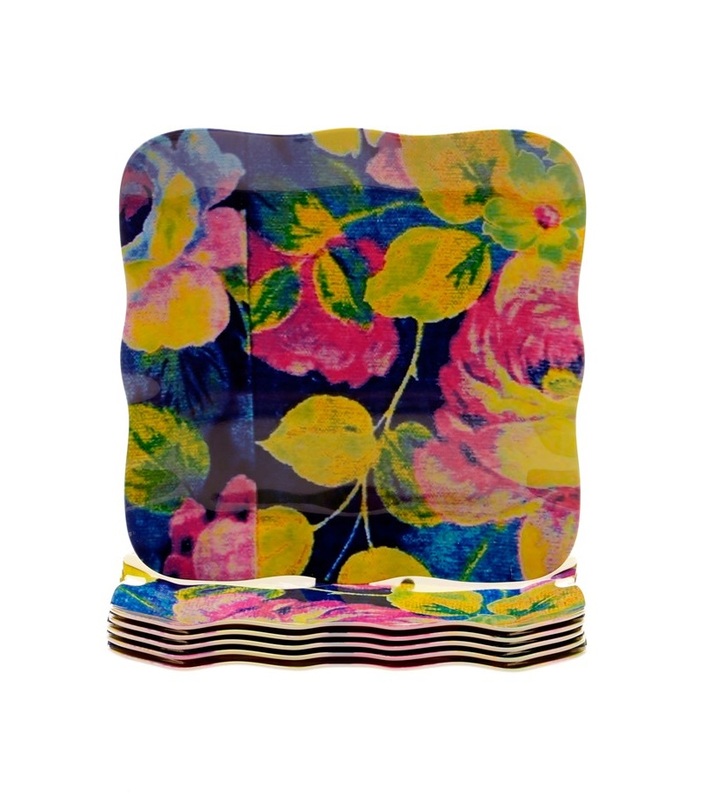 This plate set is especially perfect for a spring or summer tablescape. 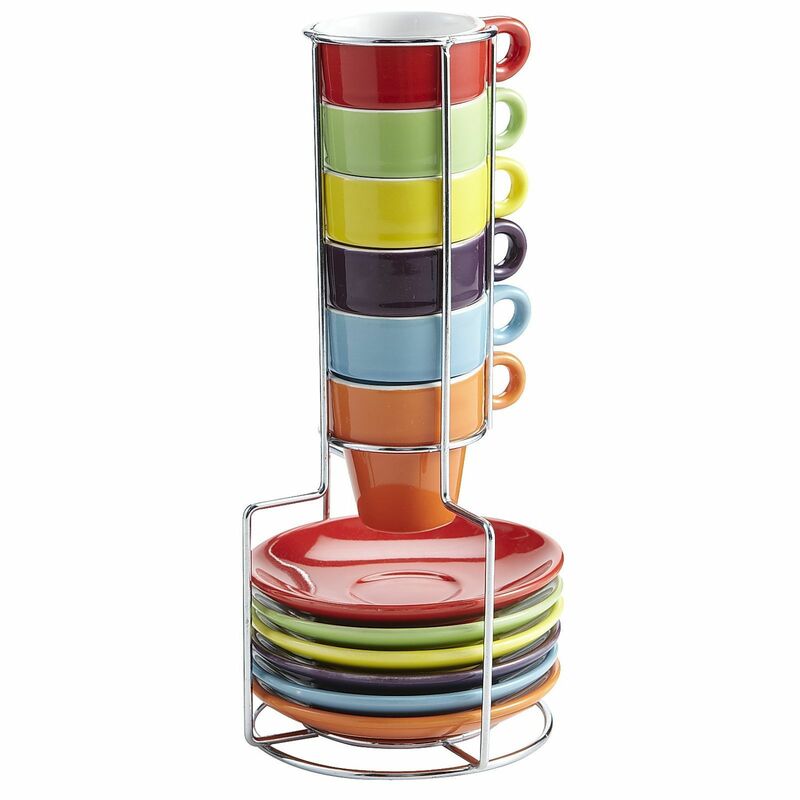 Espresso lovers will rejoice with their new set of neatly stackable cups and saucers. 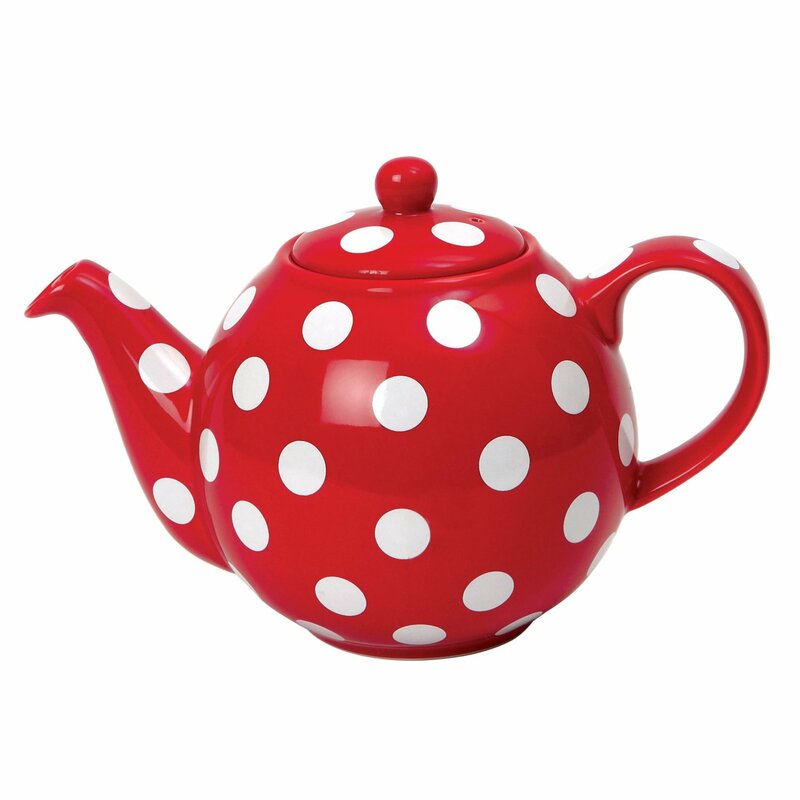 A red-and-white polka dotted teapot is ideal for those who like a little bit of retro while sipping on their favorite cup of tea. 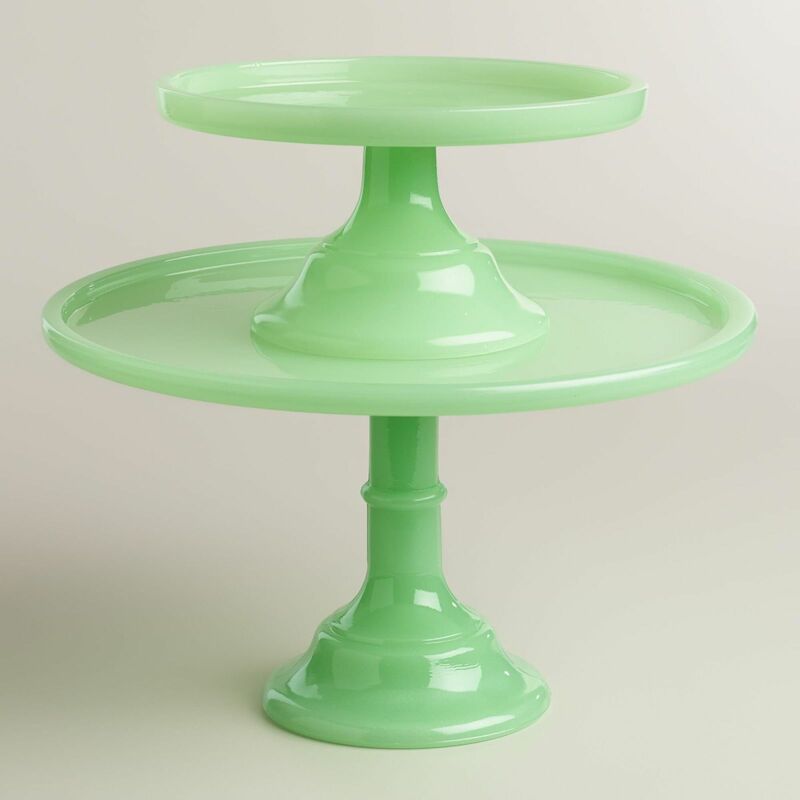 Whether your baker specializes in cupcakes or doughnuts, crumb cakes or tarts — this pedestal will be put to good use whenever they whip up a batch. 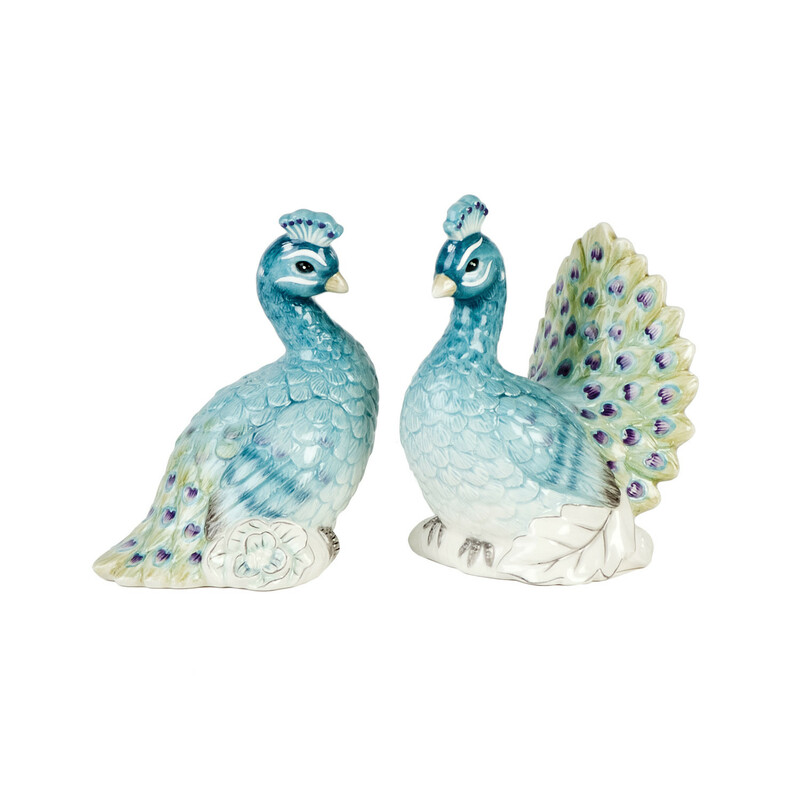 Shakers are essential to any kitchen, so they might as well be cute. 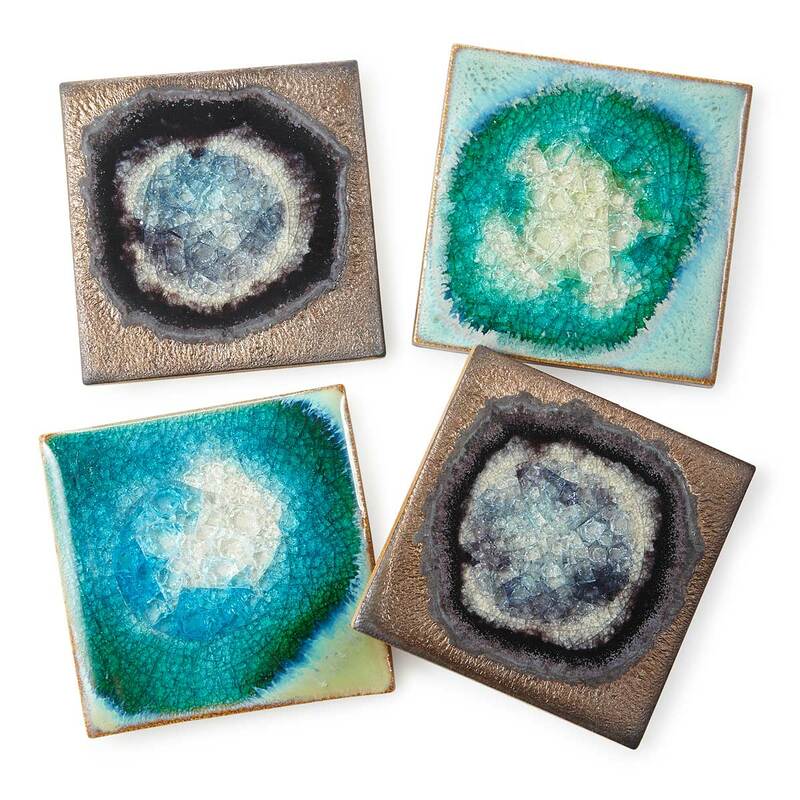 These coasters are glass glazed, showing off the vibrant stoneware they’re created from.